Are these the best jokes of all time? What’s the best joke you’ve ever heard? 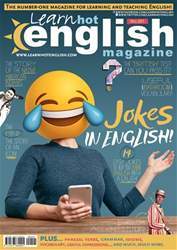 Researchers think they’ve come up with a list of the best jokes in English. Here are a few of them. See if you can find the “humour” in each one. •A sandwich walks into a bar. The barman says, “Sorry we don’t serve food in here.” I tried water polo, but my horse drowned. •Went to the corner shop – bought four corners. •My mother-in-law fell down a wishing well. I was amazed, I never knew they worked. •I went to buy some camouflage trousers the other day but I couldn’t find any. • I’ll tell you what I love doing more than anything: trying to pack myself in a small suitcase. I can hardly contain myself.